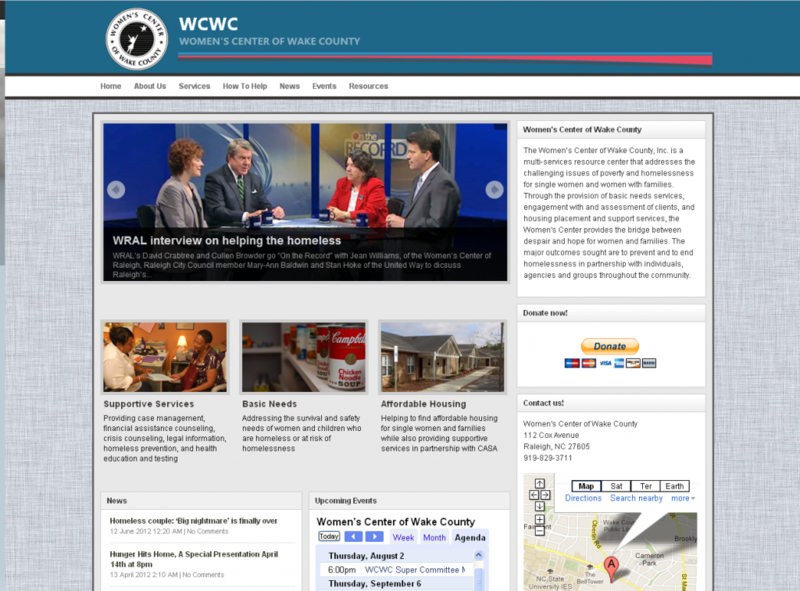 The Women’s Center of Wake County wanted to make changes to their website. Originally. they just wanted to update a few HTML pages but after discussing their needs, I recommended redeveloping the site using WordPress. Some of these needs included the ability for multiple individuals within the organization to update and add content and the ability to update or add content without knowing HTML. I also worked with the Women’s Center to redefine the information architecture of their site so that it was clear to visitors where they needed to go to access certain information.